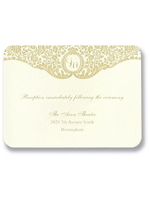 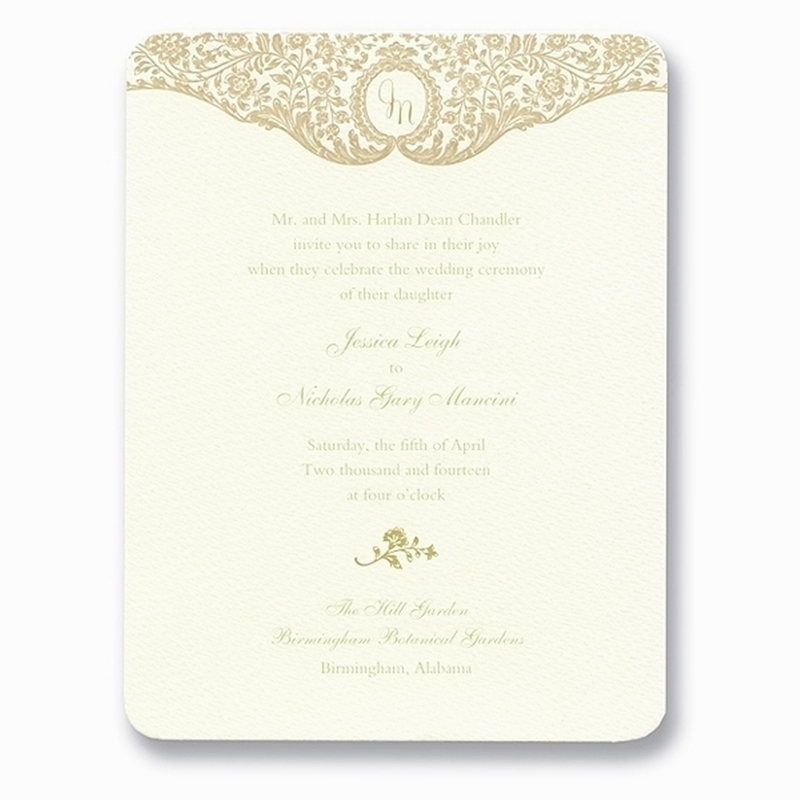 Letterpressed in antique gold, the floral trellis design on Somerset invitation has a rich texture and intricate design details. 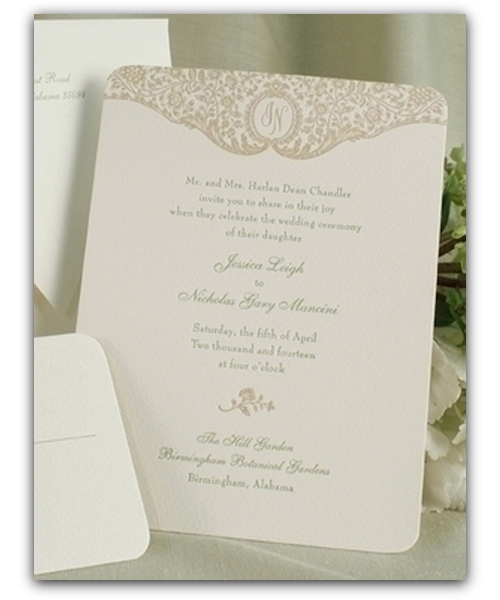 The dimensions of this card are 5 5/8" x 7 1/2"
Produced using the letter-pressed print method this card is beautiful to touch, with its rich texture. 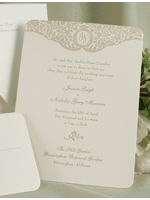 I particularly like the subtlety of the bride and groom initials within the Floral Trellis design. 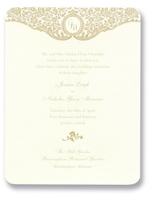 It is equally beautiful in a single or multiple ink colours in my opinion. 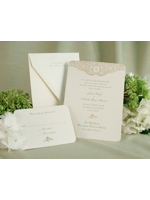 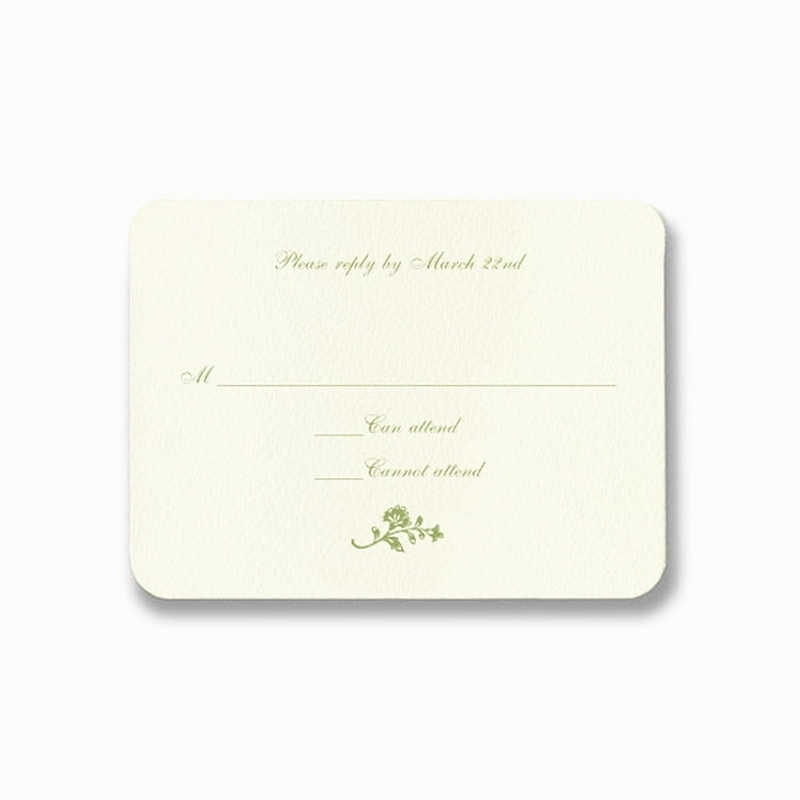 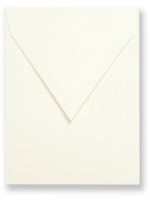 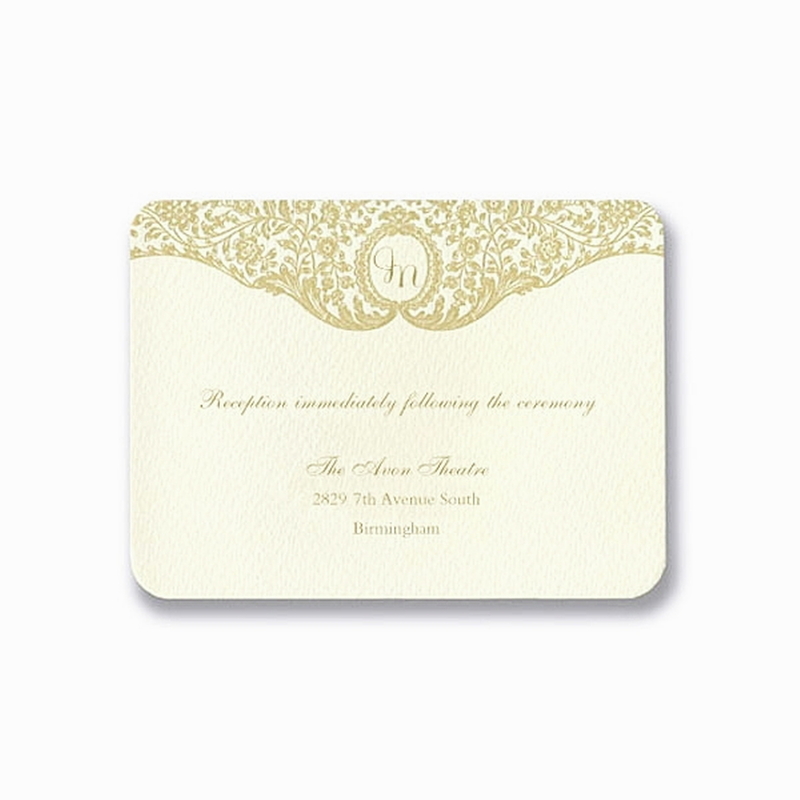 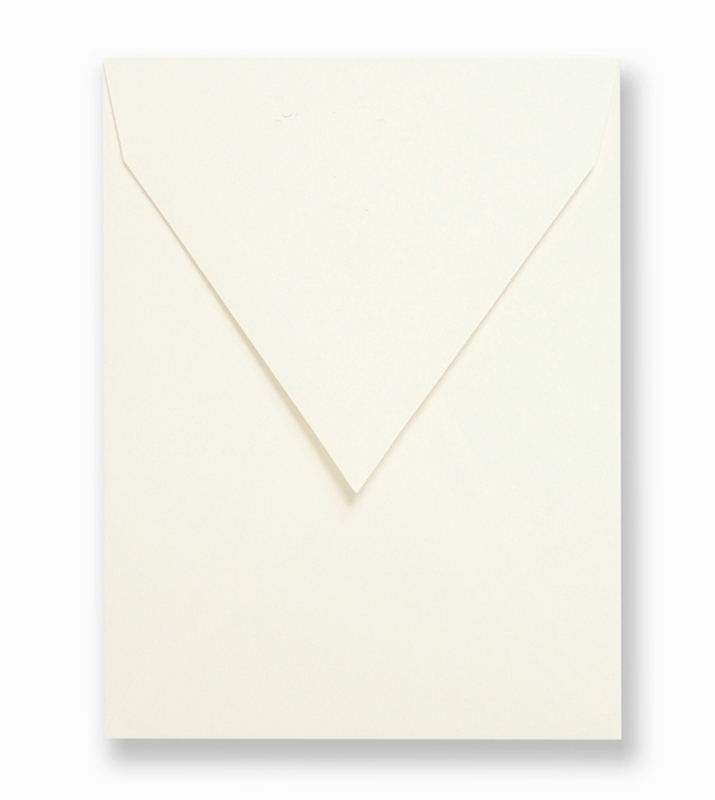 Available with French Style Top Opening Envelopes or more traditional side-fold opening single or double envelopes. 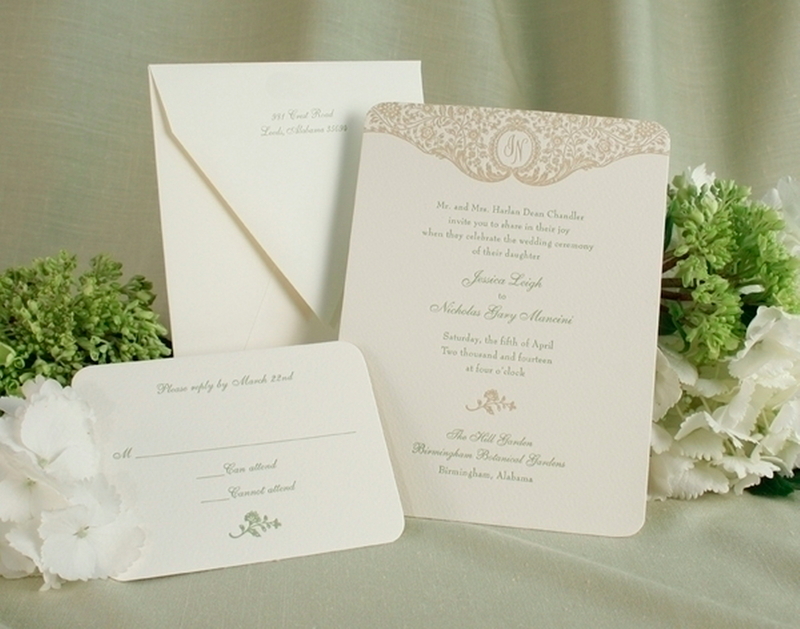 As with all our cards, there are some beautiful envelope linings to further enhance and complete the look of this invitation. 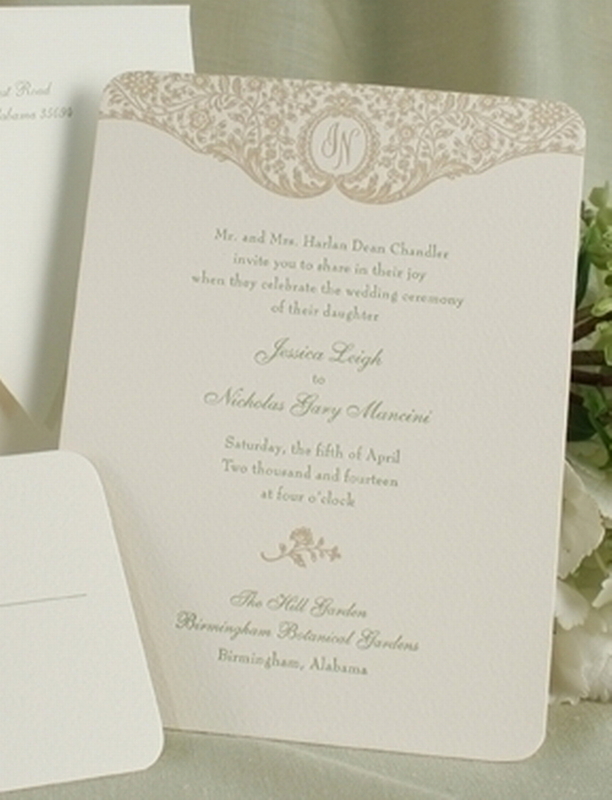 This invitation, printed in a single ink colour, using letterpress print as shown, including envelope, is available from €575 for a wedding of around 90 to 100 guests. 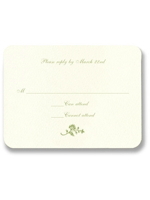 For a wedding of around 100 to 150 guests the price would be €647.